In 2017, Haas unveiled its newest building, the Connie & Kevin Chou Hall. 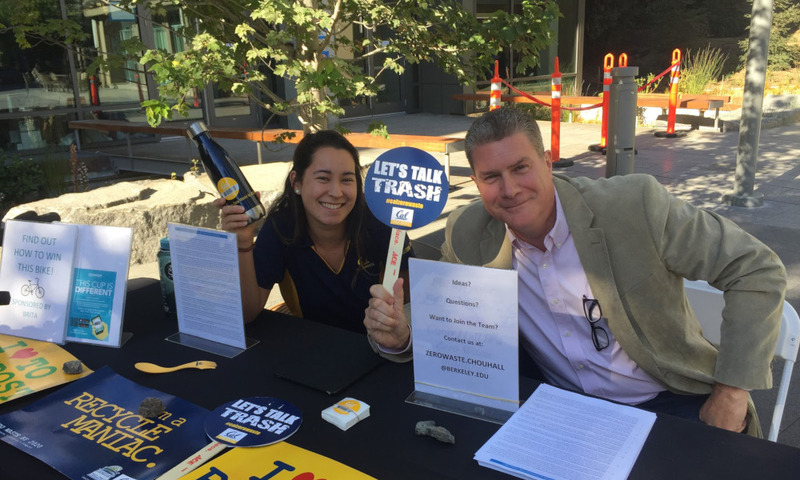 By creating a space in which landfill is neither created nor disposed of, the Berkeley Haas community is reducing its carbon footprint and deliberately raising awareness. Chou Hall is leading the movement to redesign systems within the academic context and create a powerful zero waste culture. 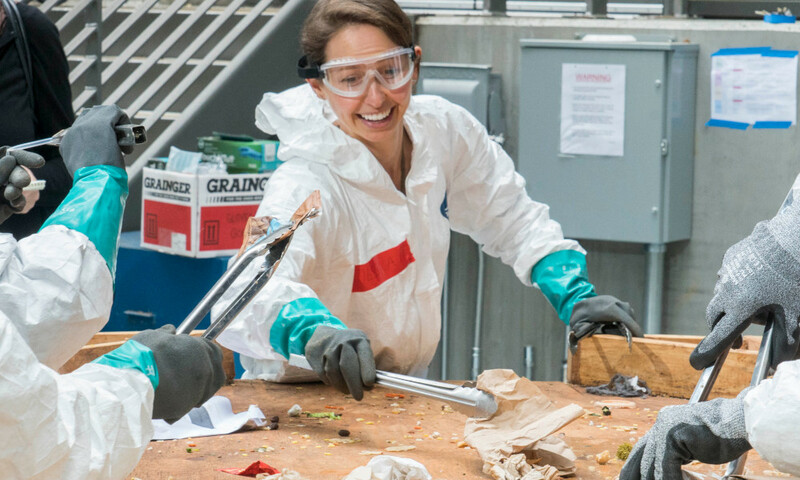 Chou Hall serves as a model for environmental sustainability at UC Berkeley and represents a critical step toward the University of California’s Zero Waste by 2020 and Carbon Neutrality by 2025 goals. Awareness and education campaigns are essential to continually inform new and repeat building users on the nuances of Chou Hall. This includes tabling outside the building at the start of every semester, sending monthly newsletters, providing uniform signage (with both images and text) above all bins, and display a continually updated slideshow on a TV monitor in the building’s main entrance. The main source of waste comes from food services. We therefore put significant effort behind collaborating with the cafe, event managers, and caterers to find innovative solutions to better support their needs and desires while also ensure as little waste is generated as possible. Since the building is an academic building, there is variability in use from month-to-month. We therefore conducted three separate waste audits throughout the year to get a more complete understanding of how and where waste is generated depending on building use fluctuations. To powerfully demonstrate Chou Hall’s commitment to zero waste, there are no landfill bins in the building except for in the women’s restroom and the cafe’s back-of-house. This challenges building users to become more conscious of what and how they are consuming. One essential component to Chou Hall’s success was that the zero waste initiative was undertaken by a multidisciplinary team, including students (undergraduate and graduate), staff, and faculty.